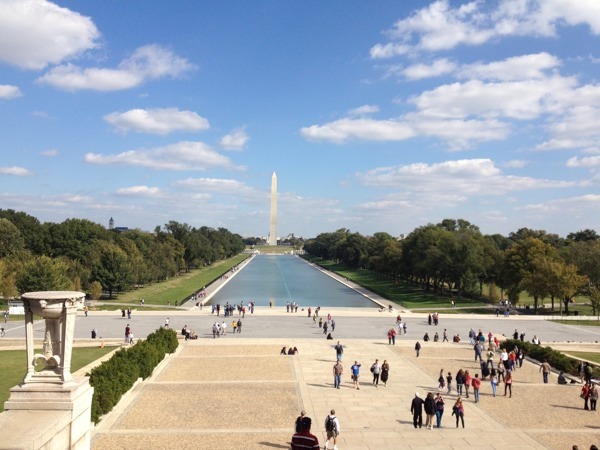 Our Nation’s Capital | Whatever else…..
← dBpoweramp: CD Ripper & Audio Converter. 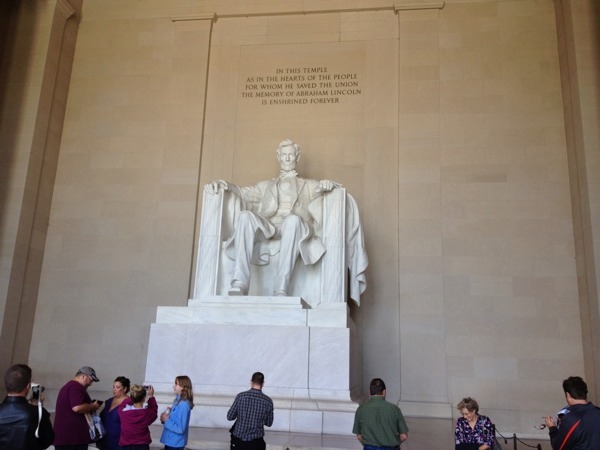 We had a nice trip to Washington DC in October. The weather was spectacular for most of the trip. Cool nights and warm sunny afternoons on most days was the norm. The St. Gregory Hotel and Suites turned out to be a nice place to stay. The Hotel is centrally located near DuPont Circle and Georgetown. Most of the week, we spent wandering around DC and Arlington. 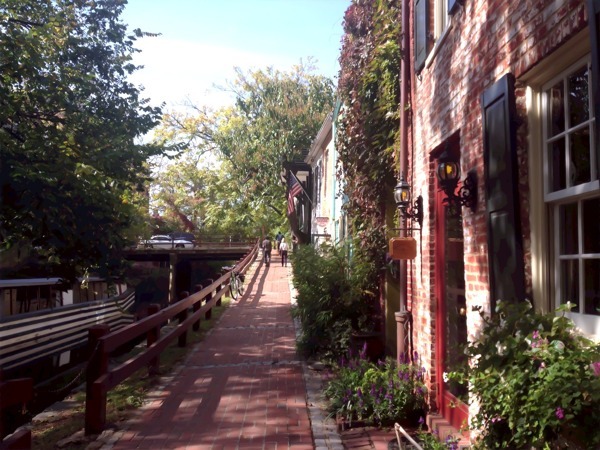 I hadn’t spent much time in Georgetown, so I enjoyed the opportunity to visit the area. This is a picture of the Canal in Georgetown. The canal runs parallel to M Street and the Potomac River. It looked like there were little people moving green striped barge type vessels that might haul tourist up and down the canal, but we didn’t actually witness that action. While we were in the area, we went down to the river and had lunch. 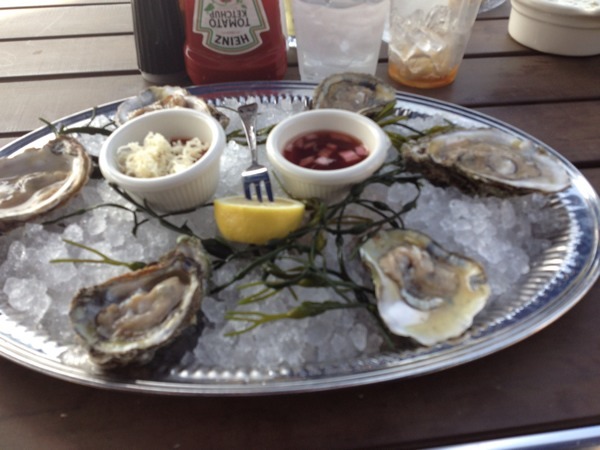 I ordered some oysters on the half shell and E had an interesting soft shell crab sandwich. Later that same evening, we went out to eat at “The Hamilton” with some friends that live in the area. We walked back past The White House on the way to our hotel. This picture is a little eery looking, but it was interesting to note that the lights were on in the residence. 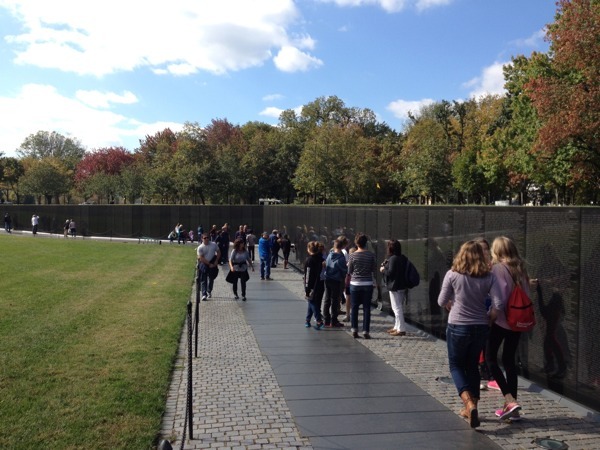 The Vietnam War Memorial is always a sobering place to visit. It is laid out with the first casualties from 1959 and last casualties from 1975 in the middle of the monument. So as you walk to either end, you are actually reading the names of soldiers that died in the middle of the conflict. My brother served in Vietnam, so this place always reminds me how lucky we were to get him back in one piece. 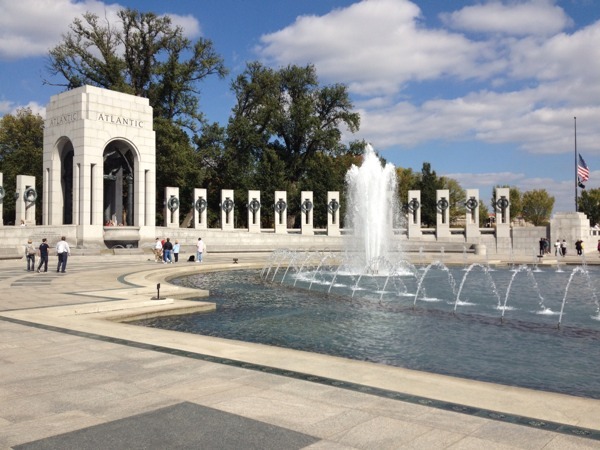 The World War II Memorial is a place that my father supported and had a great interest in, but unfortunately never got to visit. I am sure he would have been proud of the memorial. It is a beautiful place to visit. All of the States are represented with monuments along the perimeter of the memorial. This is a photo of the monument dedicated to the Atlantic Theater. So ends the travel log, but it is worthy to note that E and I celebrated our 37th anniversary of our first date while on this trip. We have come a long way since seeing Jaws together back in 1975. Overall it was a good trip. It was nice to see the area without the obligation to work while I was there, and it was especially nice to spend the week with my lovely wife. I hope we have many more trips to write about over the years!